- Designed specifically for use with OKI Printing Solutions colour printers. 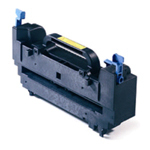 - Configuration assists high-speed, Single pass printing. - Up to 100000 pages A4.